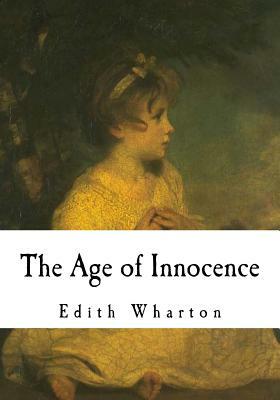 The Age of Innocence By Edith Wharton Complete New Edition The Age of Innocence is Edith Wharton's 12th novel, initially serialized in four parts in the Pictorial Review magazine in 1920, and later released by D. Appleton and Company as a book in New York and in London. It won the 1921 Pulitzer Prize for Fiction, making it the first novel written by a woman to win the Pulitzer Prize for Fiction, and making Wharton the first woman to win a Pulitzer Prize for Fiction. The story is set in upper-class New York City in the 1870s. The Age of Innocence centers on an upper-class couple's impending marriage, and the introduction of a woman plagued by scandal whose presence threatens their happiness. Though the novel questions the assumptions and morals of 1870s' New York society, it never devolves into an outright condemnation of the institution. In fact, Wharton considered this novel an "apology" for her earlier novel, The House of Mirth, which was more brutal and critical. Not to be overlooked is Wharton's attention to detail regarding the charms and customs of the upper caste. The novel is lauded for its accurate portrayal of how the 19th-century East Coast American upper class lived, and this, combined with the social tragedy, earned Wharton a Pulitzer Prize-the first Pulitzer awarded to a woman. Edith Wharton was 58 years old at publication; she had lived in that world and had seen it change dramatically by the end of World War I. The title is an ironic comment on the polished outward manners of New York society when compared to its inward machinations.